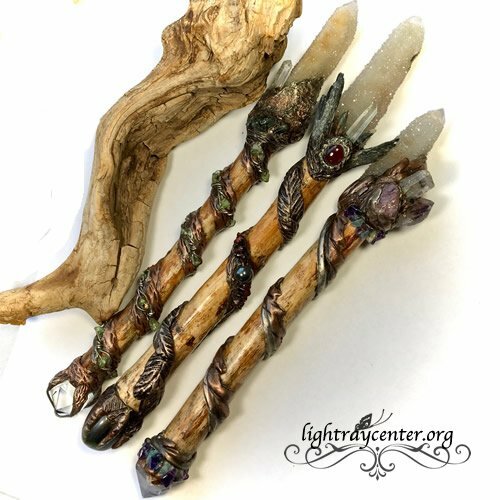 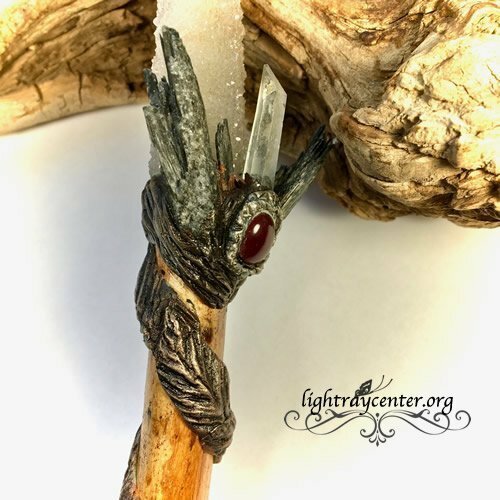 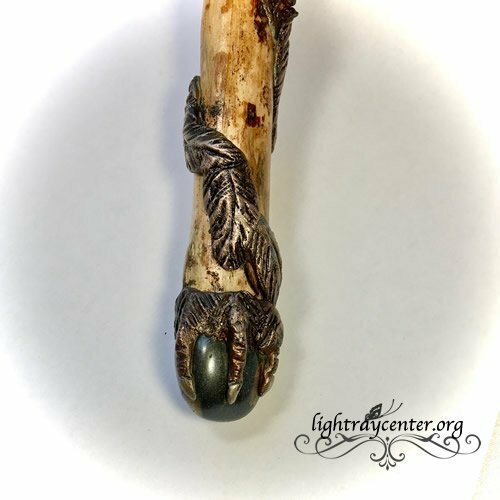 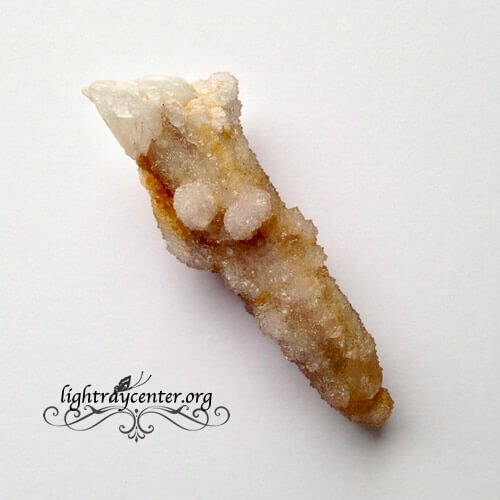 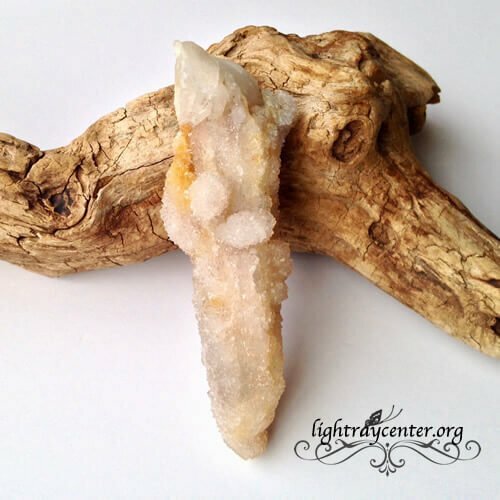 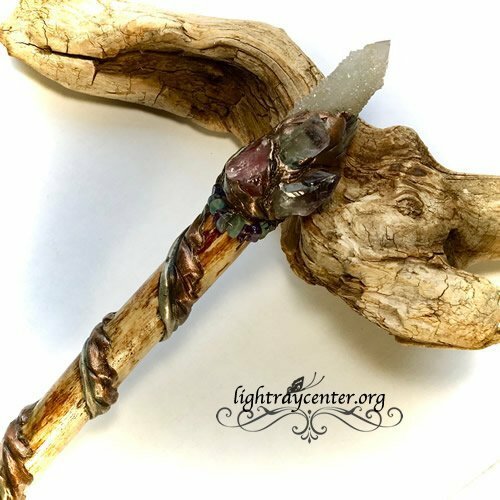 Raquelle “Raven’s Claw” the spirit of this handmade crystal wand soars like a raven but balances as it grounds to the Earth. 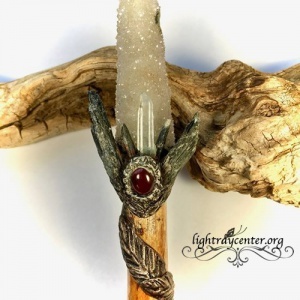 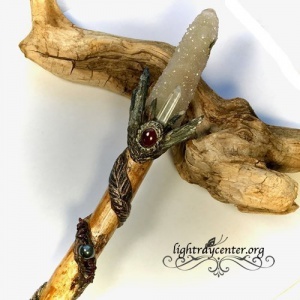 Raquelle, a handmade white pine crystal wand which features a garnet cabochon eye highlighted in silver, surrounded by black kyanite with a Lemurian quartz point at its center. 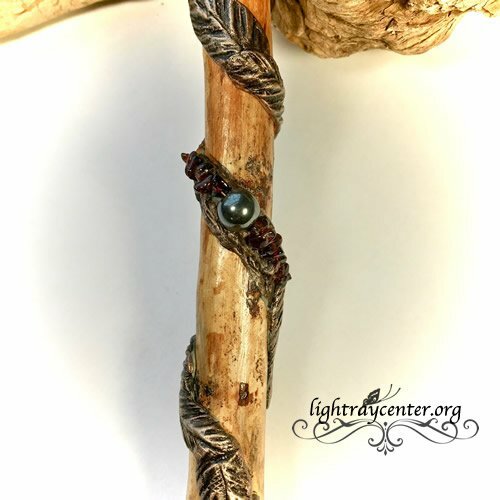 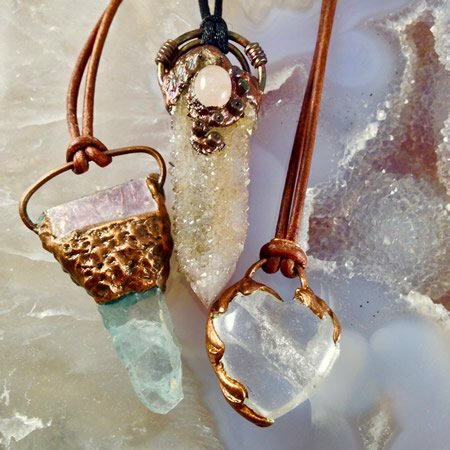 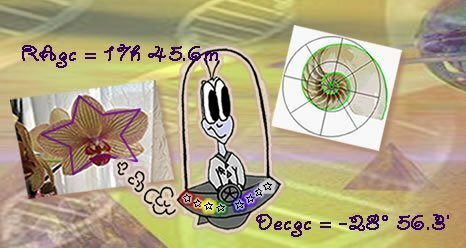 A copper feather design wraps the steck and the kell is a polished hematite stone with a copper claw design. 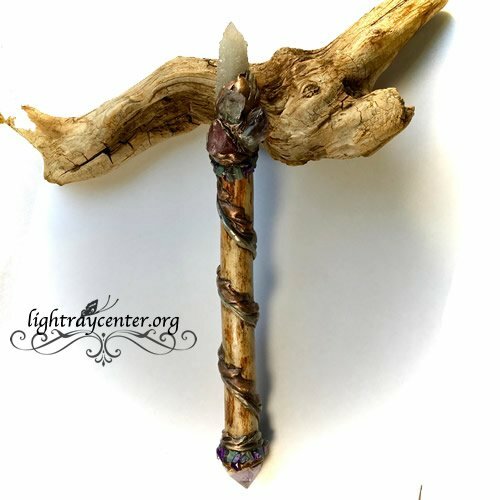 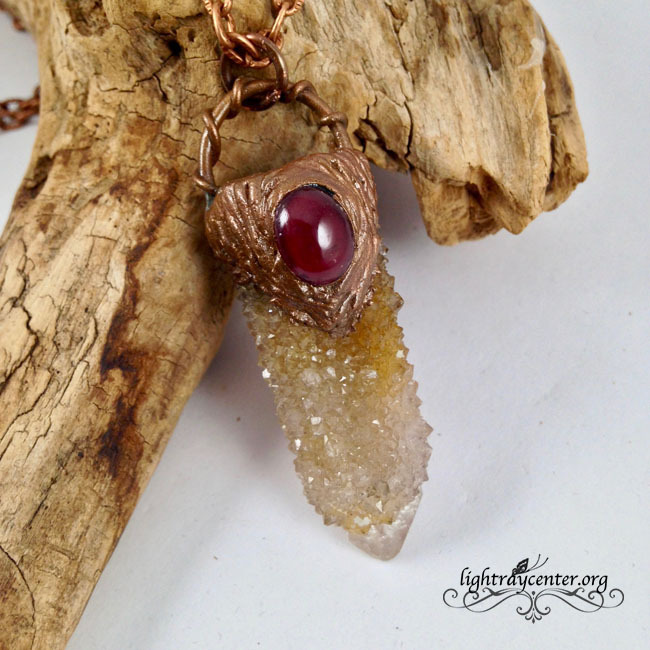 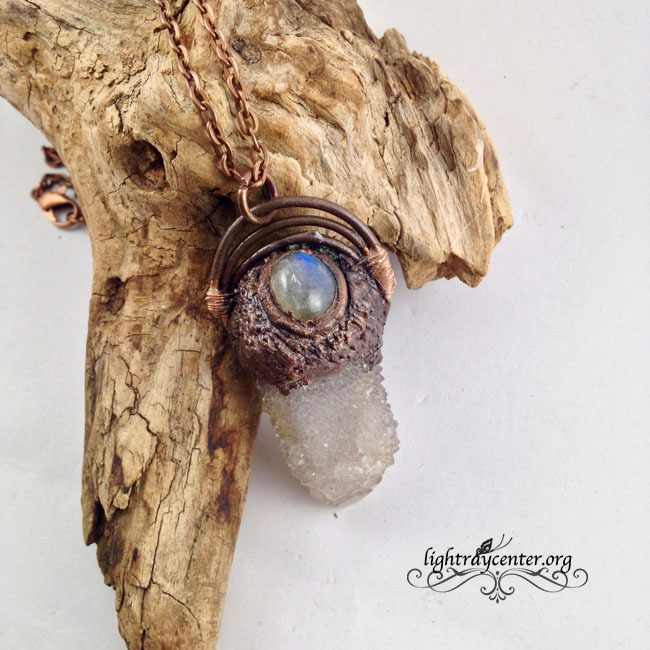 The center scroll is garnet and hematite, topped with a spirit quartz point.